Pagan Psychotherapy Processes San Francisco | Rodney G. Karr, Ph.D. In addition to traditional psychotherapy processes of talking, dream work, problem solving, etc., Dr Karr utilizes a variety of Pagan, Buddhist, and Hindu processes to facilitate psychological, personal, and spiritual transformation. These processes include methods such as guided journeys utilizing archetypal symbols, shamanistic processes including soul retrieval, connecting with animal and plant guides as well as ancestral spirits, variety of meditative approaches including Tantra, psycho pomp work dealing death and dying and communing with those who have already passed, developing one’s own self-healing ability including shielding and the use of spiritual tools for development and healing, developing connectedness with the Earth, its creatures, fairies and ancestral humans, working with the eight seasons of the wheel of the year to help each client become connected with nature, helping to facilitate success by bringing one’s life in harmony of the eight seasons and fully utilizing the energies of each season at the appropriate time and in the appropriate way, i.e., facilitating beginning new endeavors at Spring, dealing with completing old business during the Autumn, dealing with endings and death at Winter, connecting with one’s male, active, energetic processes at Summer. Rodney G. Karr PhD, being a Pagan Psychologist is very aware of the difficulties, which Pagan persons may face when they come out to partners, lovers, families, friends, or coworkers. He is experienced at helping clients to navigate through this difficult and often painful process. 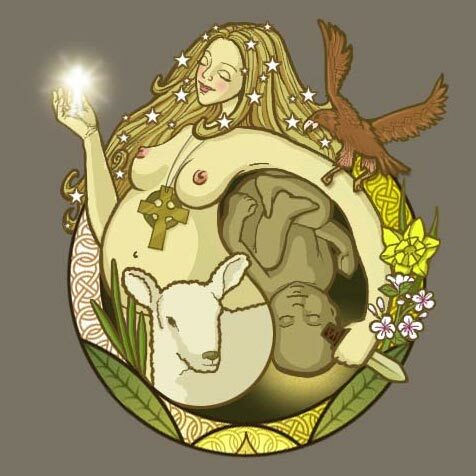 Being an experienced Pagan teacher, Dr. Karr can also offer his services to those who are exploring Pagan spirituality, to dialogue and investigate their Pagan exploring process. Dr. Karr as Druid and Bard has a great deal of belief in the importance of the arts and creativity in spiritual and psychological transformation. He has been an artist all of his life in terms of drawing, painting, poetry, drama, and architecture. In Druid tradition, one first must focus on becoming a Bard and developing his or her talents of visual, arts, drama, etc, The arts are seen as a primary spiritual process in Druid tradition. Dr. Karr therefore is experienced at encouraging clients to develop their gifts, talents, and creativity. Many of Dr. Karr’s clients are artists, writers, poets, and actors. Creativity, the ability to visualize and manifest one’s visions and dreams are an important aspect to magic. Developing one’s own magic, i.e., ability to manifest one’s intentions is a primary purpose for Dr. Karr in working with each client. Dr Karr feels that it is an important aspect in being a Pagan Psychologist that he honors the material world around us as being wonderful, blessed, and spiritual. This includes each of us in our bodies, our sexuality, and the world of creatures, moon and stars, which surround us. He believes in the spiritual concept of animism, in which all of material manifestation is animated with spirit within. Therefore, all matter, everything, everyone, must be treated with the honor and respect deserving of the Goddess/God that is within everything. Dr. Karr lives his life upon a daily basis in harmony with this animistic viewpoint. It is his belief that he is following an ancient Druid tradition, which totally effects and changes how he perceives and reacts to everyone and everything in his life. It is the belief of the various Earth-based traditions that our practices must be a way of life and of perception not just two hours at church on Sunday or a list of moralistic and judgmental laws and rules as most religions are currently practicing. Dr. Karr has nearly twenty-five years of experience in relationship/community oriented therapy. He has been a political activist in the peace movement, environmental movement, and Gay-Lesbian rights movements for many years. He therefore does not take a hierarchical non-disclosive approach as a psychotherapist. He rather develops an intimate relationship based upon mutual sharing with his clients. He shares his life, his opinions, his ideas, his successes, as well as his failures with his clients when it seems appropriate and helpful to do so. He is an active and involved participant in each client’s therapy process. He utilizes his wisdom his knowledge, and his learning to help his clients. Therapy is not perceived as a closed system. He refers clients to activities, communities, books, and Yoga, meditation, and other processes to facilitate their healing. Dr. Karr shares his own incredible life openly with his clients. He is currently incorporating a non-profit corporation called the Monarch Bear Foundation, which will be set up to facilitate Pagan teachings, create a land trust to protect sacred sites in California and continue his extensive film project documenting Pagan teachers, sacred sites and traditions. He has also been very involved in the preservation of Victorian landmark buildings in San Francisco over the last twenty-five years. He has restored three landmark Victorian buildings in San Francisco. He currently is involved in the process of land marking a Victorian mansion in west Oakland. Dr. Karr is very involved with the Board of Directors of the National AIDS Memorial Grove and the Grove itself.. He is steward and care taker of Monarch Bear Grove in Golden Gate Park which is a Pagan grove with sacred circles within Golden Gate Park. The Monarch Bear Grove is adjacent and to the west of the National AIDS Memorial Grove. It is the site where the sacred Monarch Bear was caged, who was the model for the bear on the California State flag. He was also the last California Grizzly Bear. He lived at Monarch Bear starting in 1894 and died there in 1911. He had been captured under the auspices of William Randolph Hearst in 1889. He was very famous during the 22 years of his captivity and had been a prim arty symbol of the rebirth and restoration following the 1906 earthquake. Dr. Karr has a close relationship with the spirit of the Monarch Bear who serves as one of his guides and co-healers. Dr. Karr also stewards two other sacred groves in California, the Manannan Mac Lir Grove in Walnut Creek, which has 300-year-old oak trees, and the Downie River Grove in Downieville California upon the Downie River. 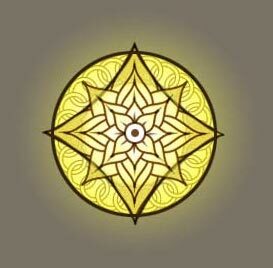 He utilizes the three groves as places for ritual, healing, teaching, and magic with his work with Five Shaman Circles.